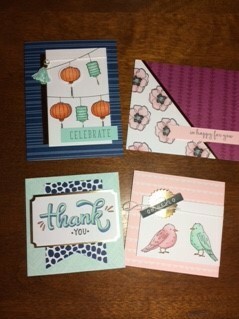 Global Stamping Friends – Anything but Cards! 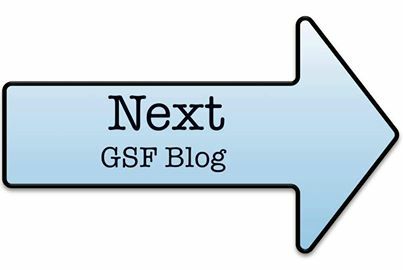 Welcome back to another month of the Global Stamping Friends Blog Hop. This month we are focusing on Anything But Cards! That could mean a scrapbook page, a home decor item or a project of some sort. For today’s project, I’ve made a Christmas shopping folder. Inside is a pad of paper for making notes on the gifts I’ve bought. The other side has a handmade envelope for receipts. 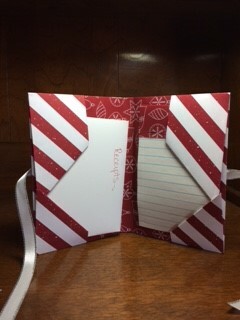 This whole folder was made with one sheet of 12×12 Be Merry Designer Series Paper. 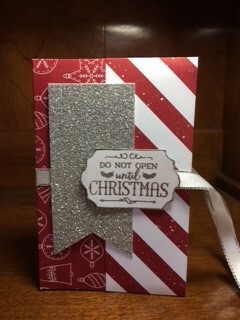 The sentiment is embossed in silver embossing powder using the Oh, What Fun! Stamp Set. An oldie but goodie in my opinion. Especially this saying. I don’t want anyone peeking at what I’ve bought for Christmas! I’ll be using this for cousins mostly. 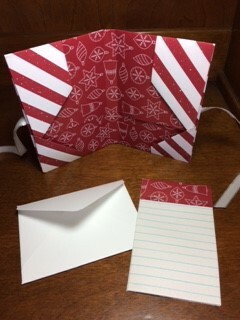 Thank you to Diane Barnes for her tutorial on how to make this easy fold folder! Stampin’ Up! 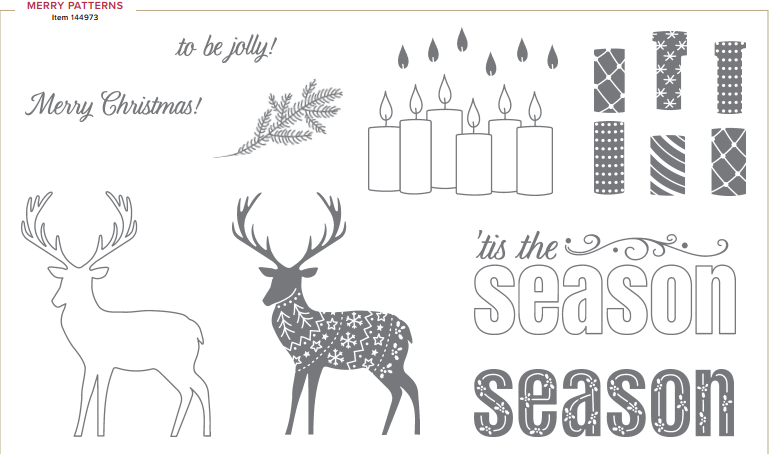 has released a brand new item for us to play with called the Stampin’ Blends. If any of you have been stamping with me long then you know I do not like to color! These alcohol markers make coloring so fun, turning a regular Jane Doe like me into an amazing artist! I can’t get enough of these beautiful markers. They are so easy to color with. They offer them in 12 Stampin’ Up! colors with 2 skin tones, bronze and ivory. They also offer this amazing pre-made kit with a coordinating Stamp set that is perfect for coloring. Each marker has a light and dark tone that are sold separately or in a pair. Stampin’ Up! recommends using the Memento black ink pad so the ink from the stamped image doesn’t run when you color. I also recommend that no matter what color or how many colors you buy, get the Color Lifter! It is a lifesaver to any mistakes. It’s like an eraser if you go outside the lines. It also lightens any area inside the colored image. It’s a miracle pen!! The whole set of markers is $121.50 but if you sign up to Join Team BFF you can get the whole set for $99 with FREE shipping! I will also give you a FREE Memento black ink pad! WHAT a deal! 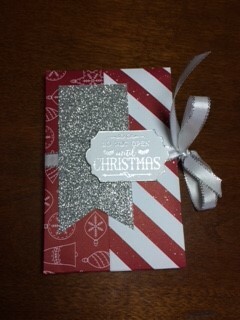 Do you want to be entered into a raffle to receive the Merry Patterns hostess stamp set that is no longer available?? All you have to do is order some Stampin’ Blends! Either order one single marker, a pack or all by November 25th and you will be entered into the drawing. I will announce the winner live on my Facebook page, BFF Stampers on November 26th at 7pm. Go to my website to see all the options on buying these markers. I have a class at the Sew Easy Studio tomorrow, Saturday at 6p.m. making fall inspired cards. Contact me and let me know if you are coming! I hope you were inspired by my project. Click on the Next button to see what Jan has made for you or scroll down to see a list of everyone participating in the hop. Categories: Annual Catalog, Anything but Cards, Blog Hop, Give-a-ways, Global Stamping Friends Blog Hop, Stampin Up!, Stampin' BlendsTags: BFF Stampers, Stampin Up! Love the designer series paper you chose. Perfect match for your project and a great way to stay organized. Thank you! Such a fun and easy project. Perfect way to keep your lists all in one place! Thank you, yes, they are so smooth! I love them! What a fantastic project, pretty and versatile! What a fantastic project, pretty and versatile! Thank you for joining in the hop.